Matte heaven right? So freaking pretty! I chose Orly Satin Hues Satin Reflection as the base. 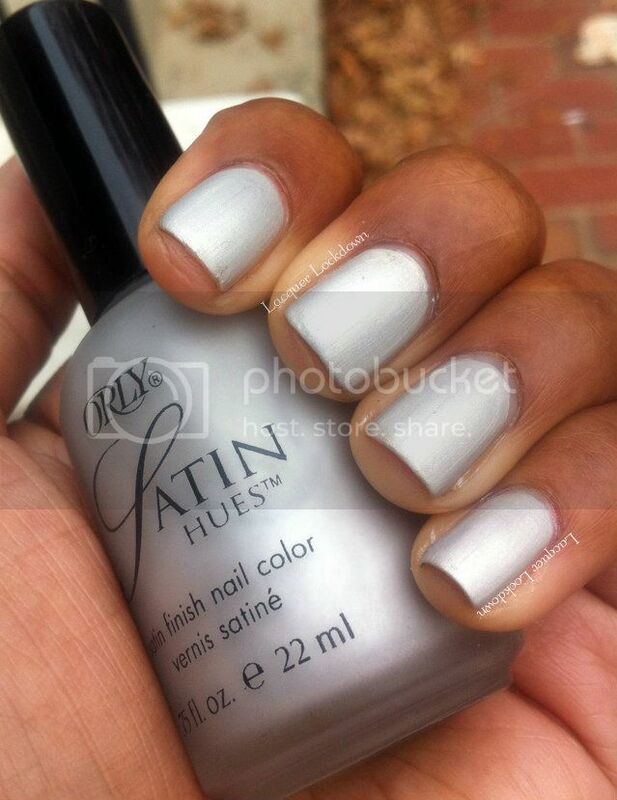 It's a delicious matte silvery white polish that lives in my dreams and is unbelievably decadent. I almost used this one for my AIS something matte challenge on Sunday and so I needed to use it once it was out floating around my field of vision. By the by I'm stalking the Satin Hues and I really need the others to complete my collection if you have a source do let me know! Anyhoo I created a gradient over this using Orly Velvet Rope and Essie Nothing Else Metals. 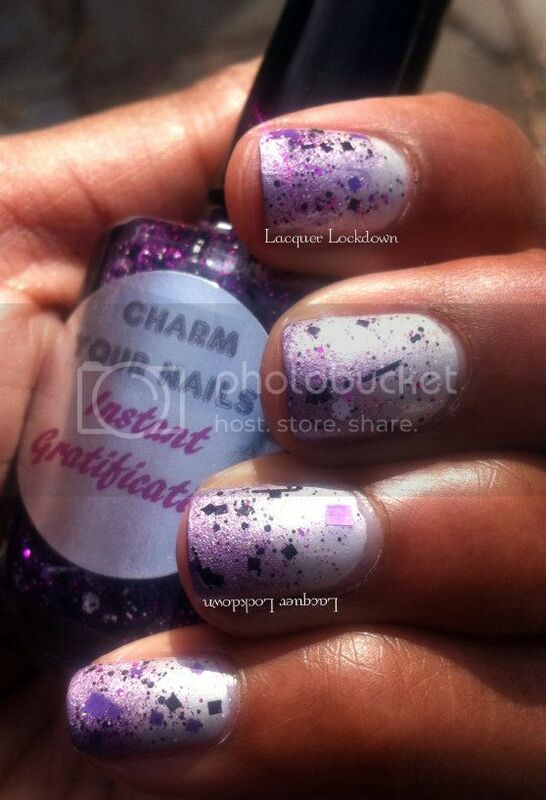 Finally, I put a coat of Instant Gratification on top for the final effect. So good right? Someone please help me find the rest of these especially Gala!!! Loving all the little squares in various shapes and colors! 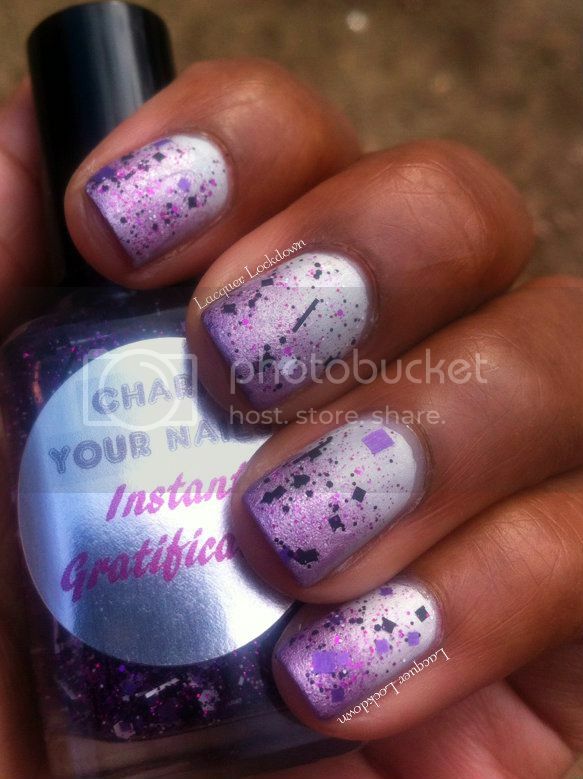 Gorgeous gradient!!! Well, I'm so out of the loop on indies nowadays that I've not heard about this new brand :( love this combo so much !! Thank you you know I love gradients ;) Yeah I actually don't venture outside of my indie comfort zones too much these days unless I am blown away by something I actually found this one after seeing another from this brand that stole my heart! Man these are so gorgeous! I love your gradient, this is pretty!